Basketball is a sport that requires a lot of quick movements. Whether you are driving up for a layup or jumping for a rebound, you need to be able to perform these movements with confidence. Most of these movements involve using your legs. That means a lot of impact will be absorbed by your knees, ankles and feet. We have talked about the best shoes for ankle support in a separate article. Today, we’ll look at your options for basketball shoes to protect your achy knees. We’re going to examine some options in both footwear and other solutions. 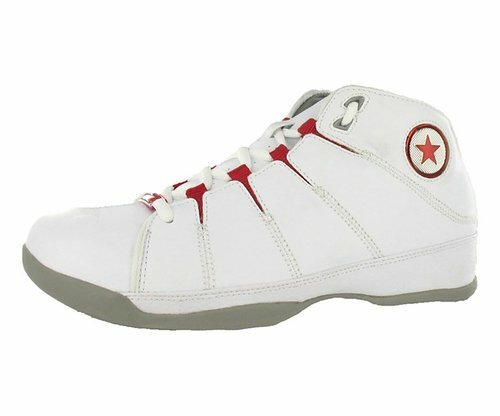 To protect yourself and play your best, you need shoes that are lightweight and provide good cushioning. A lightweight shoe means that you are stable and in control. A well-cushioned shoe ensures that you are protected against impact when you land, run, or make sudden movements. These two qualities are the keys to consider when choosing shoes – not just for bad knees, but for any use. 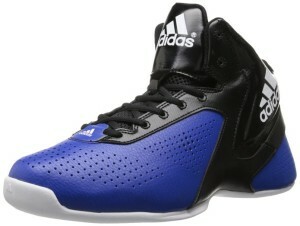 adidas is known for making a great basketball shoes. The NXT LVL SPD 3 provides comfort and stability not only on the court but off as well. The shoe is lightweight and features the adidas Torision system. This technology helps ensure a snug fit and stability when running ball. This lets you play with more confidence and fewer worries about injuries. The Torision system really improves your playing experience and ensures that your midfoot section is secure. 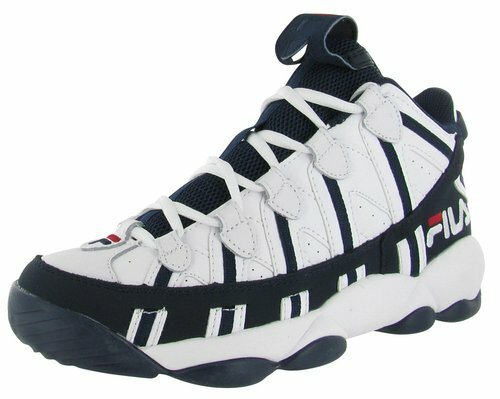 Breathability on this shoe is great as well, as it features a perforated toe and midfoot. The shoe also features a GEOFIT® design that allows for even more comfort when playing. The GeoFit design conforms to the shape of your foot over time and allows for an even snugger fit. This helps you get the best playing experience and more cushioning to protect your knees and ankles from impact. 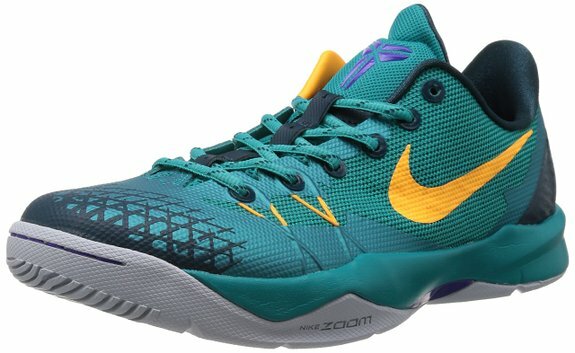 The second shoe on our list that will help with your bad knees is the Nike Men’s Zoom HyperFuse 2013. Although the shoe came out in 2013, it’s still a great option today. Like most other models we review, this shoe is lightweight. 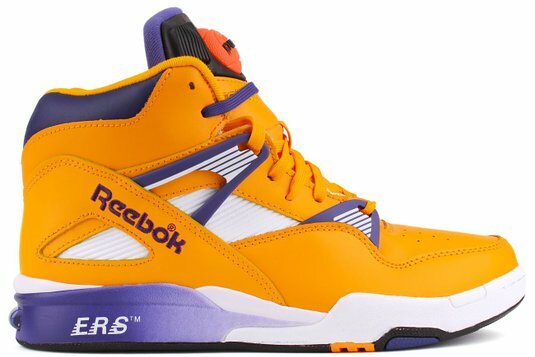 It’s important that the basketball shoes you get are not bulky. A heavy shoe can slow you down and cause more problems in your joints. The shoe features flex screws in the toe box, allowing increased flexibility. It fits true to size to ensure that there is little rolling of your foot in the shoe. The shoe also features a multi-directional traction pattern. This allows for quick movements in all directions. 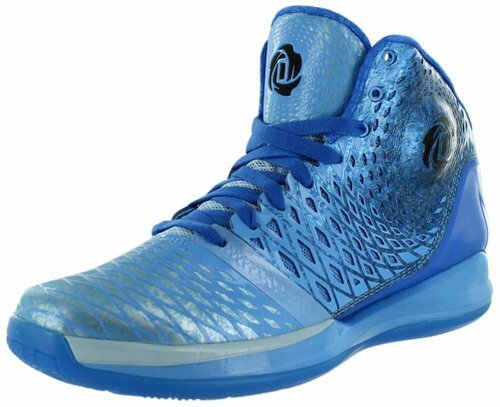 You can be sure this shoe will provide great traction on the court. For added comfort, the padded collars grip the ankle well to ensure that your heel does not slip. We’ve looked at two shoes that are good for bad knees. However, there are a few more options you can look into to protect your knees from getting injured. One of the most common injuries in basketball is when your knee gets hit by another player. To protect yourself from this you need a pair of knee pads, sleeves or guards. These knee pads will ensure that you stay protected during impact with another player or if you fall on your knees. The McDavid 6446 Extended Compression Leg Sleeve with Hexpad Protective Pad provides your knees with a lot of protection. 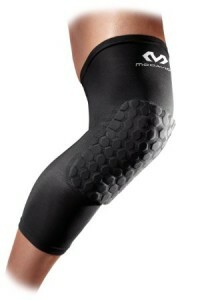 The large padding of this sleeve ensures that your knee will stay shielded. Some knee sleeves can restrict motion, but not this one. The neoprene material allows for a great range of motion while keeping your knees protected with the cushioning. They will definitely protect you when diving to keep the ball in-bounds or if you bang knees with your opposite number. Another option for knee protection is to get a pair of insoles. As we’ve pointed out in some of other articles, insoles are a great way to add protection and cushioning. The cushioning will ultimately protect your knees and ankles from impact. 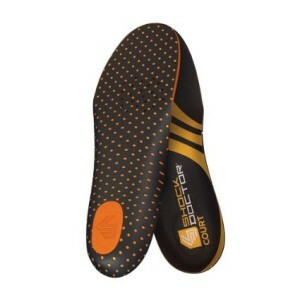 One great choice is the Shock Doctor Court insole. 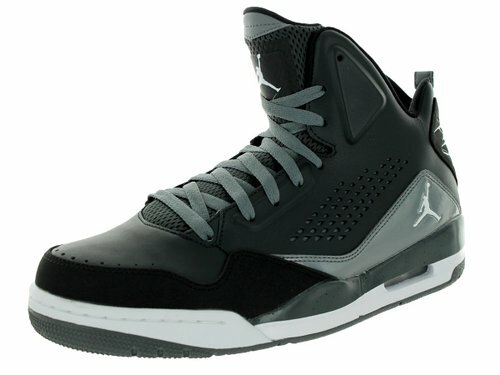 The insoles provide a good amount of cushioning, but they don’t make the shoe feel any tighter. If you’re trying to play on bad knees, you may want to try this option for added protection during impact. All the options listed here are great. 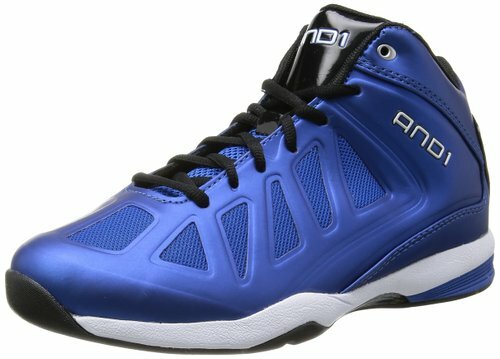 If you are looking for a basketball shoe that is lightweight and will provide good support, these shoes work wonders. 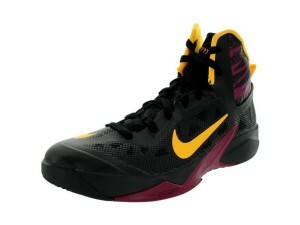 If you add insoles and knee sleeves to these basketball shoes, you will receive even greater comfort and protection. Knowing that your knees are protected will enable you to play with more confidence. 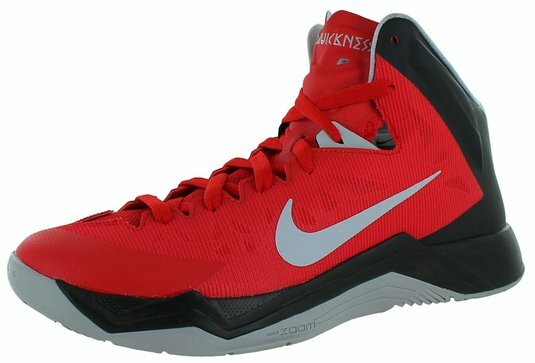 If you already have a basketball shoe that you like, you can buy insoles and knee sleeves for added protection. The knee is tough, but it gets a lot of use and takes a pounding. Making sure your knees last a long time requires you to use the right equipment to protect them. Stretching and exercising also enable you to have stronger and less injury prone knees. Be sure to use that as well as adding the right gear to your outfit!